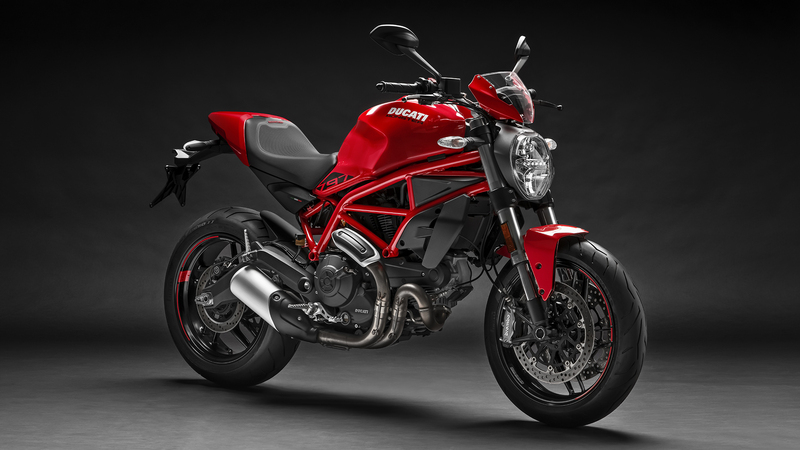 The Monster 797 is the ideal bike for those who want to enter the world of Ducati for the first time. 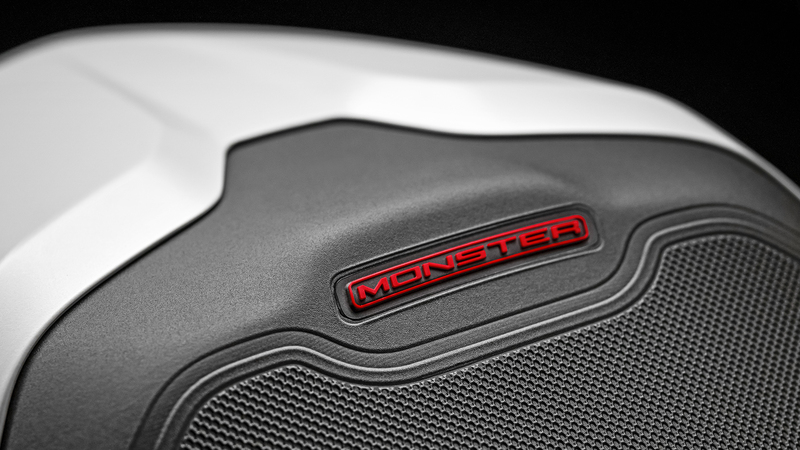 As sporty and essential as any Monster, it offers everything you need for a fun ride that is also easy and intuitive. 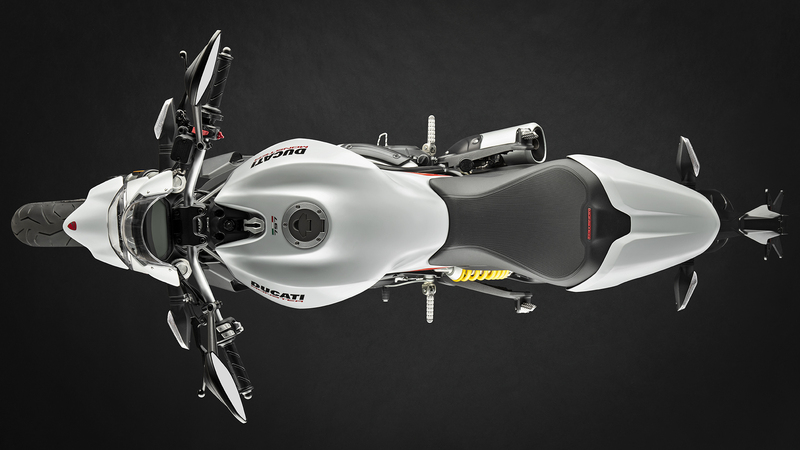 In addition, the new graphics give the Monster 797 unique personality and style. 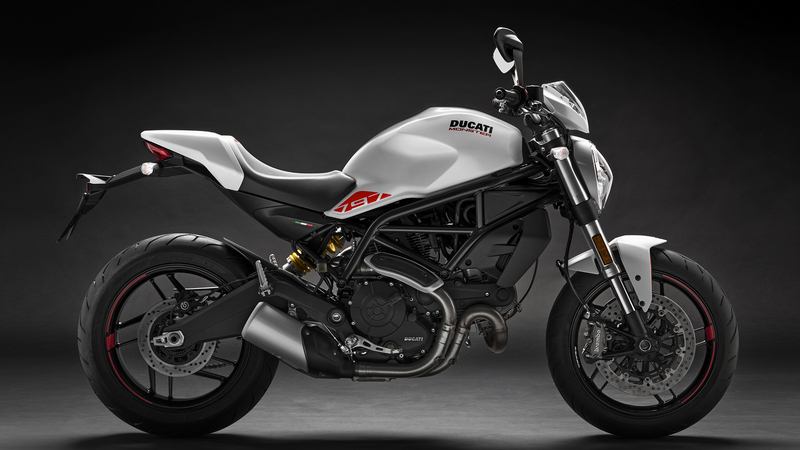 The new Monster 797 is also available in a restricted power version of 35KW, compliant for A2 license riders. 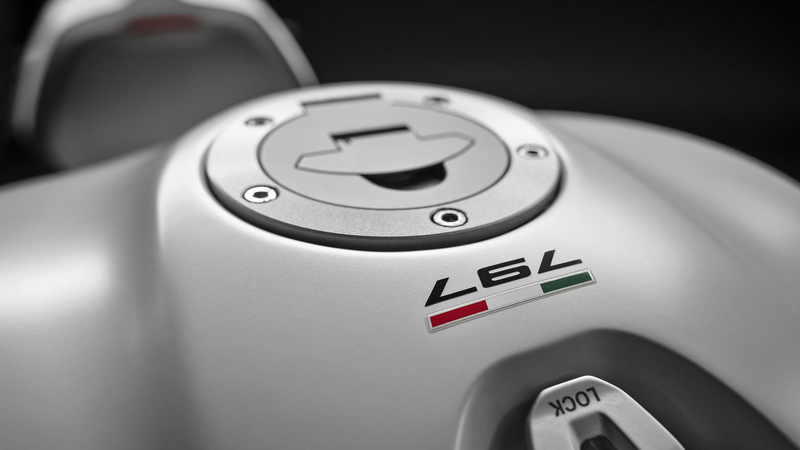 The Desmodue twin, with 73 hp and 6,8 kgm of torque, ensures riding enjoyment in maximum safety. 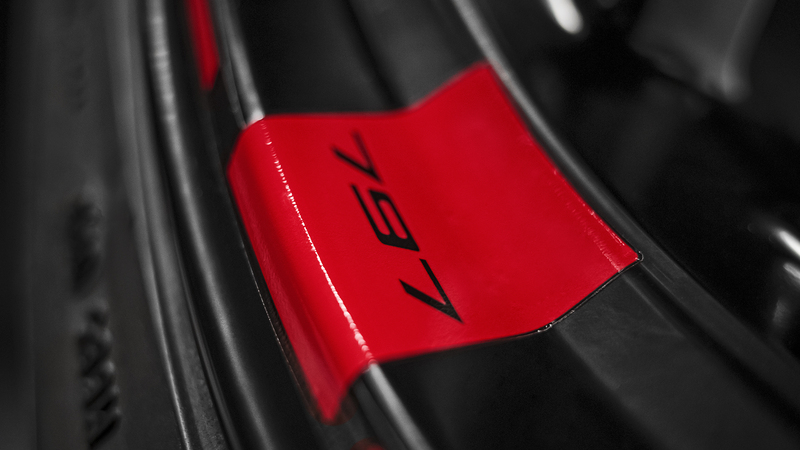 The constant, fluid torque curve immediately instils confidence without creating any difficulty. Carefree fun is guaranteed! 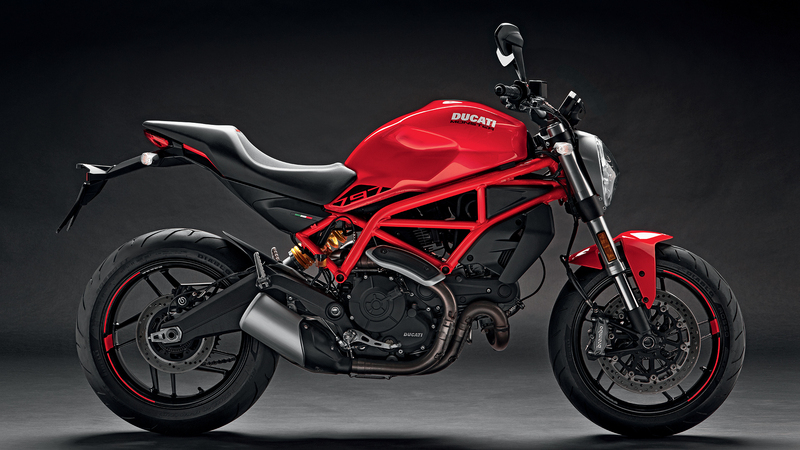 The new Monster 797 is also available for those with a restricted licence, as a version with 35 kW of regulated power. 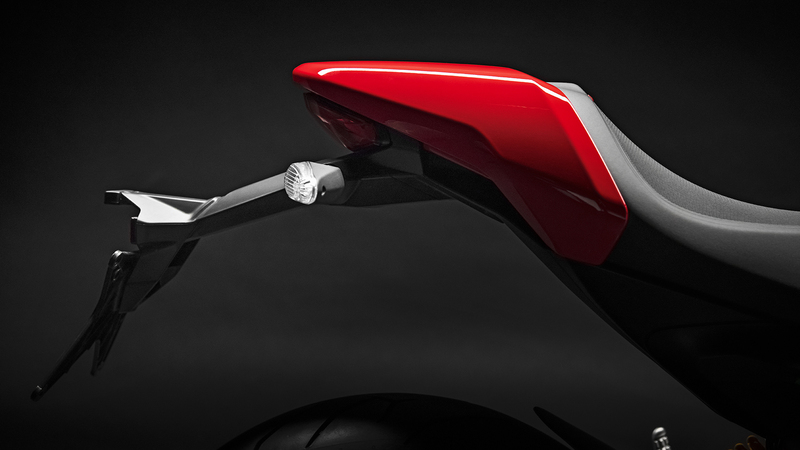 The new Monster 797 chassis is designed to ensure maximum ease of riding. Compact dimensions, a low and narrow seat, a wide handlebar and reduced weight make it agile in city traffic and sporty on out-of-town roads. 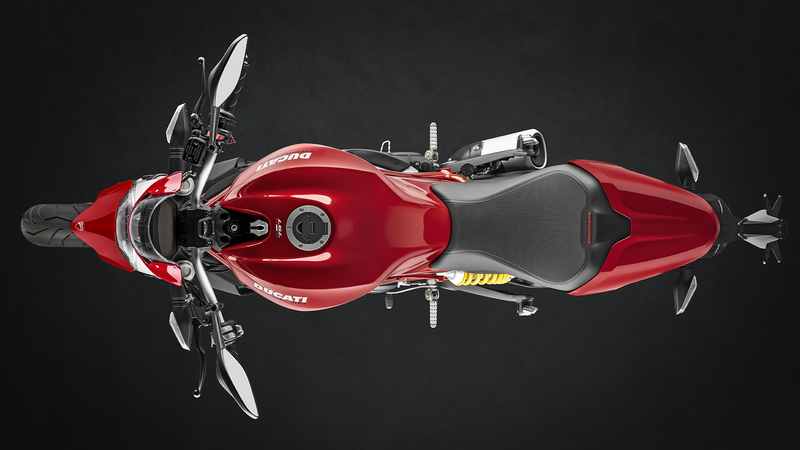 The new Monster 797 boasts a modern and complete range of equipment. 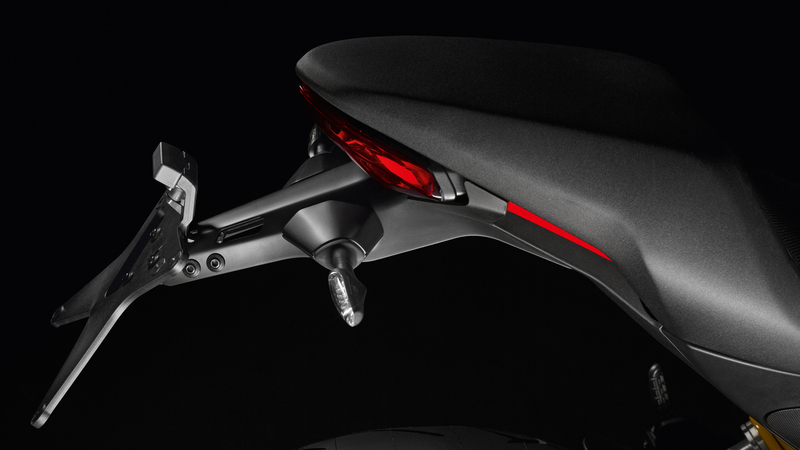 The large LCD hi-vis screen of the dashboard provides all the information needed for riding, while LED technology enhances thepositioning light of the front headlight, rear light and licence plate light. 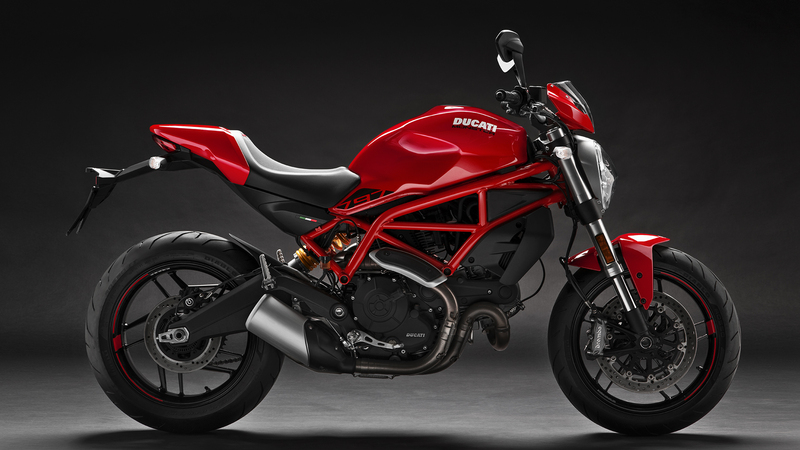 The Monster 797 is also available as a Plus version, even more unmistakeable. 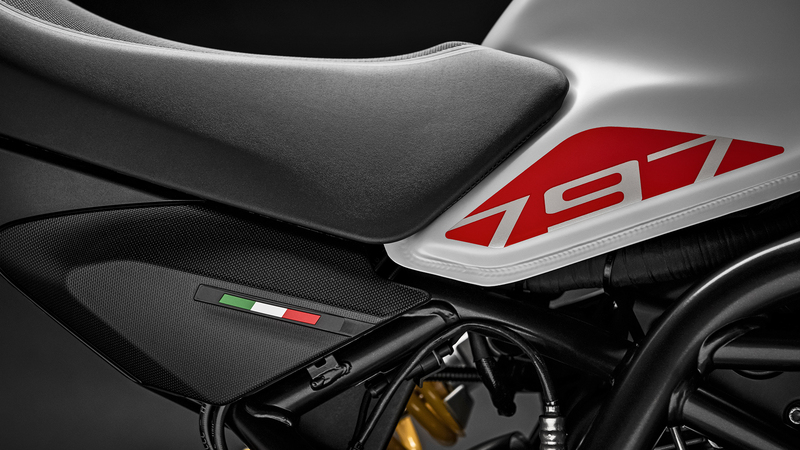 The Monster 797+ boasts a distinctive look, thanks to standard equipment that includes the front fairing and the passenger seat cover, which both match the tank and front mudguard. 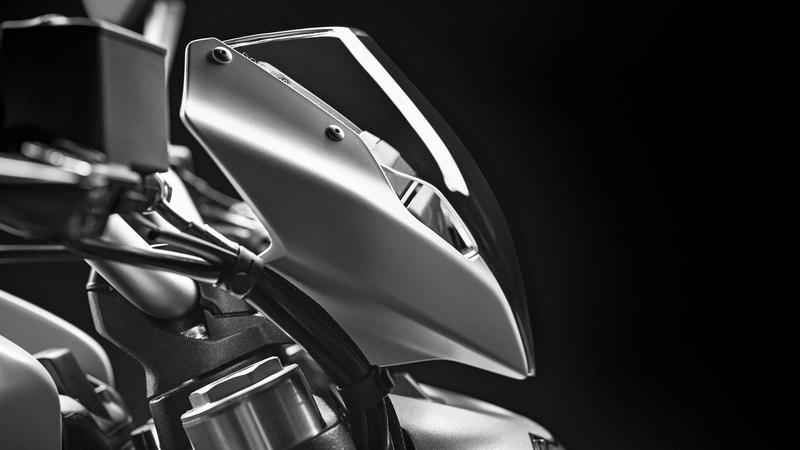 This equipment enriches the lines of the Monster and improves riding comfort thanks to the front fairing that optimises the rider’s aerodynamic protection. 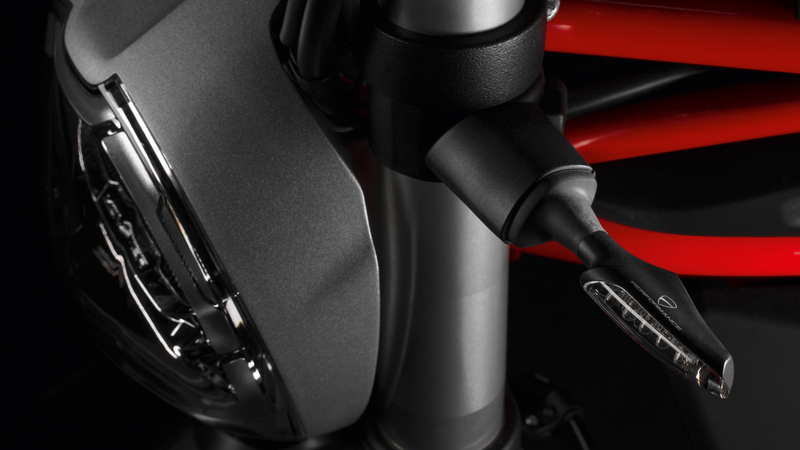 The new Monster 797+ is also available in a restricted power version of 35KW, compliant for A2 license riders. 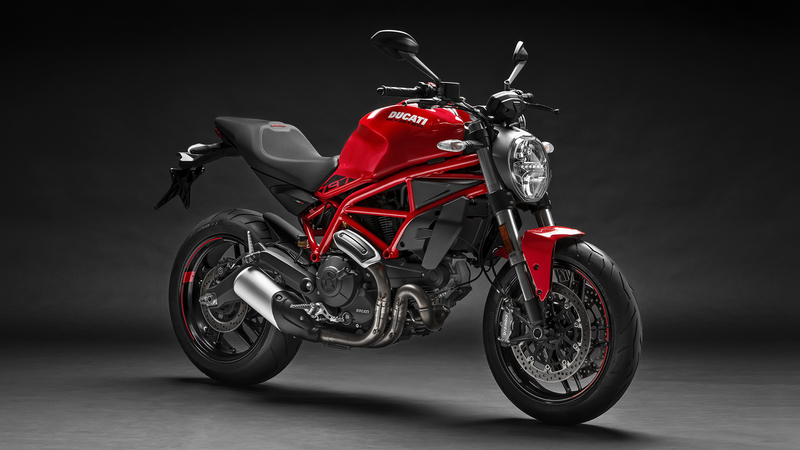 The 10-spoke wheels of the Monster 797 are in light alloy. The Pirelli Diablo Rosso II tyres are in made from double-compound technology to combine resistance during long trips with constant grip also during extreme leaning. These high-quality tyres apply Pirelli EPT technology (Enhanced Patch Technology) to maximise the contact area with any leaning angle and FGD (Functional Groove Design) to optimize performance in wet conditions. The dimensions of the tyre at the front are 120/70 ZR17, and 180/55 ZR17 at the rear. 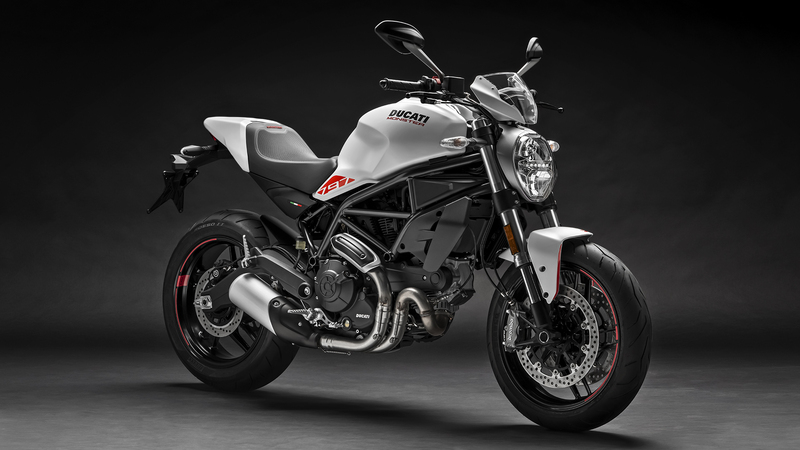 The 10-spoke wheels of the Monster 797 are in light alloy. The Pirelli Diablo Rosso II tyres are in made from double-compound technology to combine resistance during long trips with constant grip also during extreme leaning. These high-quality tyres apply Pirelli EPT technology (Enhanced Patch Technology) to maximise the contact area with any leaning angle and FGD (Functional Groove Design) to optimize performance in wet conditions. The dimensions of the tyre at the front are 120/70 ZR17, and 180/55 ZR17 at the rear. These high-quality tyres apply Pirelli EPT technology (Enhanced Patch Technology) to maximise the contact area with any leaning angle and FGD (Functional Groove Design) to optimize performance in wet conditions. The dimensions of the tyre at the front are 120/70 ZR17, and 180/55 ZR17 at the rear. 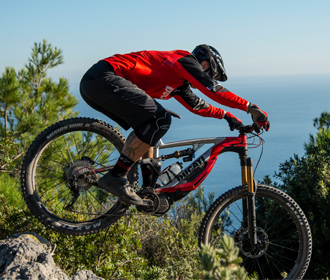 The Monster 797 has a 43 mm diameter Kayaba fork with a 125 mm wheel travel at the front. 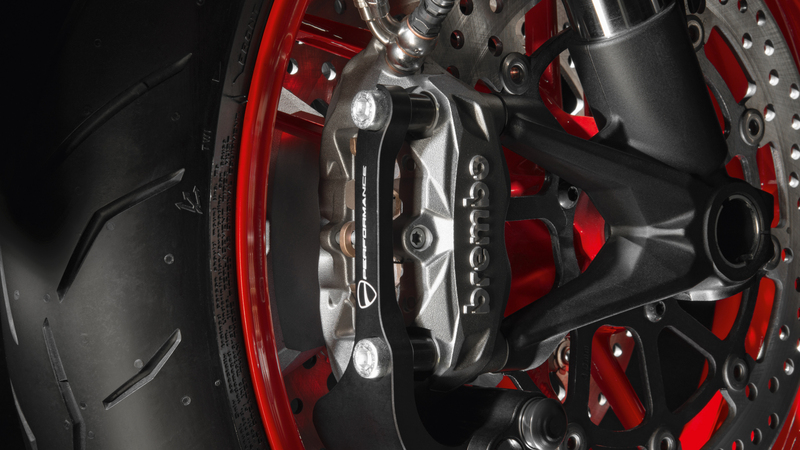 The Monster 797 is equipped with a Brembo braking system, fitted as standard with Bosch 9.1 MP ABS system with internal pressure sensor. 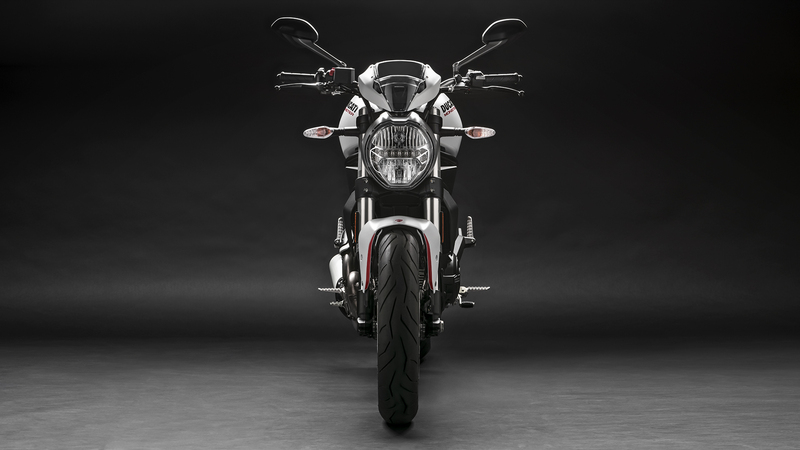 he Monster 797 is fitted with the air cooled 803 cm3 Desmodue twin-cylinder engine. 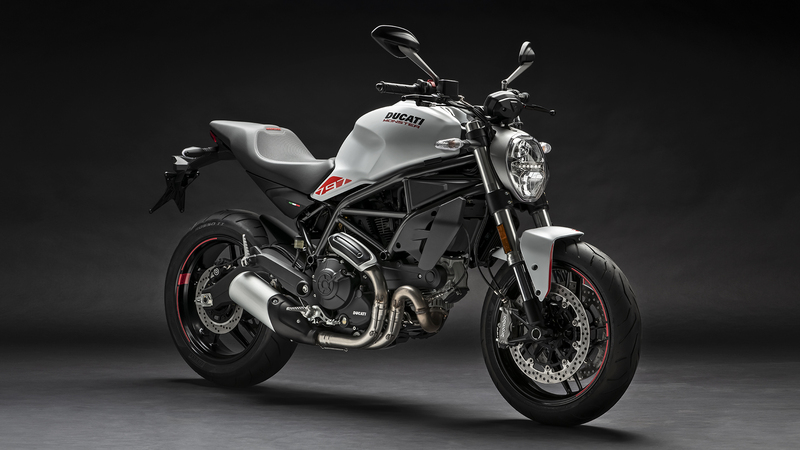 This engine is a nod to the origins of the Monster but it is a modern Euro 4 homologated engine able to deliver 73 Hp at 8,250 rpm and a maximum torque of 67 Nm at 5,750 rpm. 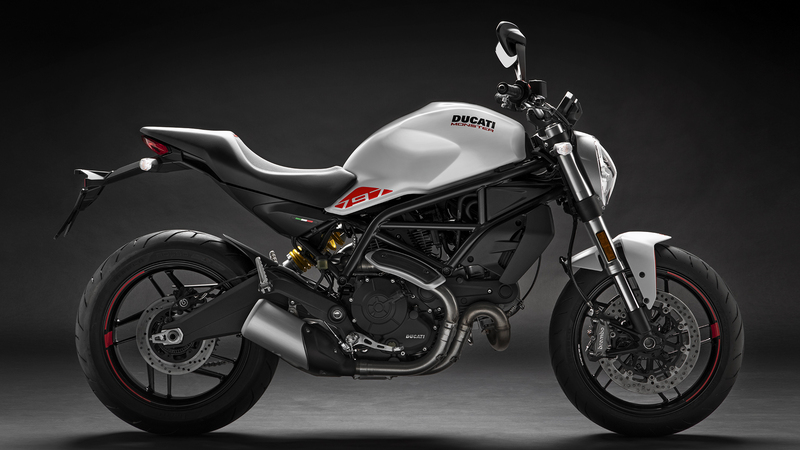 Characterised by an 88 mm bore and a 66 mm stroke, it has been designed to offer pure riding enjoyment, like a real Ducati, without ever seeming demanding. The Monster 797 is also available for those with a restricted licence, as a version with 35 kW of regulated power. Contact your dealer to check availability. 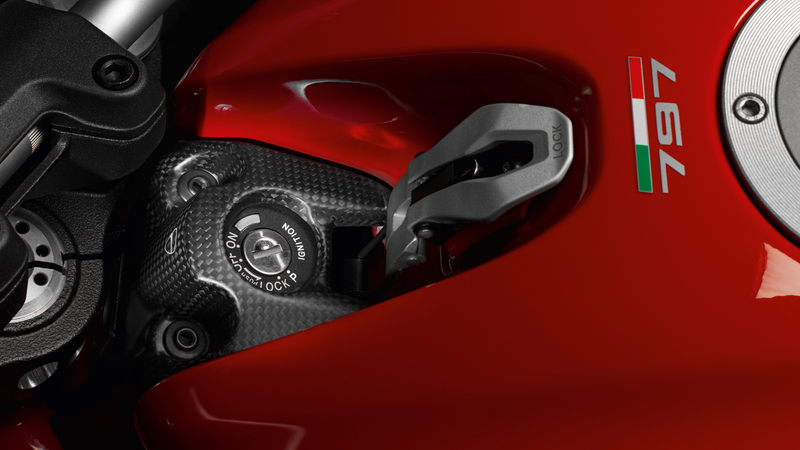 The twin-cylinder engine of the Monster 797 has a single 50 mm diameter throttle body with two injectors downstream of the throttle, ensuring fluid distribution and precise control of the mixture strength taken in by each cylinder. The gearbox is 6-speed while the APTC wet multiplate clutch with cable control ensures a much lighter lever actuation and provides additional advantages of excellent modulability: incredibly useful when managing continuous starting and stopping in city traffic. 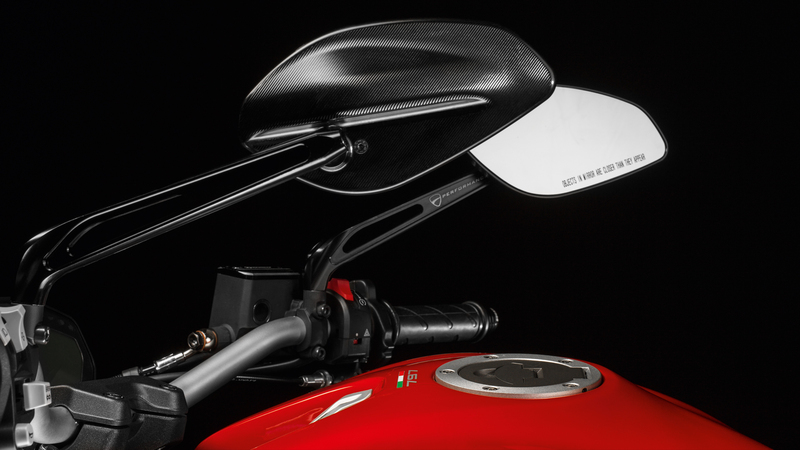 The Monster 797 dashboard consists of a large LCD high-visibility screen with the main and secondary indications. DRE Safety Academy Learn safe street riding techniques with DRE Safety.